Weekends in July and August have been filled with household upgrades and organized events so hiking has taken a low priority. 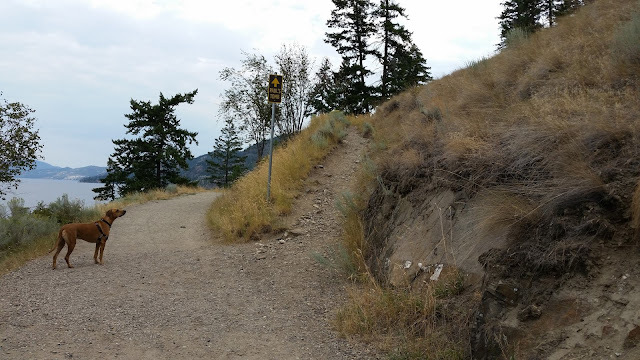 Though we've managed a daily hike up to Mission Ridge, it's been much too hot to spend more than an hour hiking over the dry Kelowna landscape. Yesterday I decided I'd better start challenging myself if I wanted to be able to hike to a decent elevation on this year's BC vacation location: Cathedral lakes. Here's a few photos from our morning hike up and over Knox Mountain. For me this is the most challenging way to get over Knox Mountain. I leave the car at the Poplar Point parking area and head for Paul's Tomb, veering of the main path at this sign to head up and over the back of the mountain. Wondering where the marmots are. Spent too few days in Southern Ontario with hubby, a couple of his business partners and their wives. A great time was had by all as we visited Toronto, Six Nations Reserve, Niagara on the Lake and Niagara Falls. I highly recommend the Radisson Hotel Harbourfront. 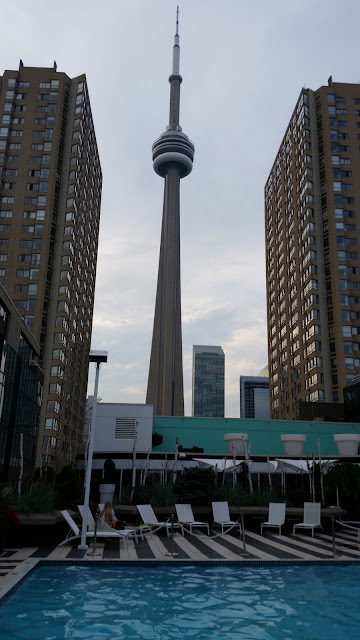 It still boggles my mind that we paid $149 a night for this amazing location on the water, steps from great restaurants, pubs and the Rogers Centre (and a few giant steps to the Distillery District). Hubby and I took the street car up to Kensington Market in search of his favourite Venezuelan street food. Now that's a bike path, people! After Kensington we headed towards Old Town to meet our friends for lunch. Saw some lovely buildings as we walked along College to the Yonge Street subway.